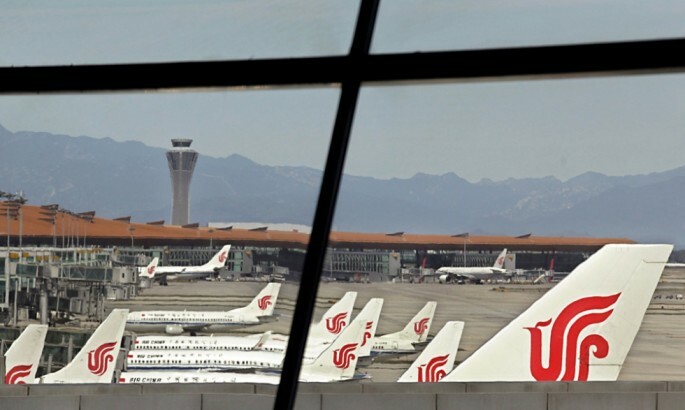 Beijing Capital International Airport secured the top post in flight punctuality among Chinese domestic airports, according to a report by VeryZhun, a local air travel information service firm. However, in general, punctuality remains a perennial problem for Chinese mainland airlines. In a Beijing Times article, the report said that the flights from Beijing last year, on average, are 73 minutes late--the already shortest time period among mainland cities. In 2014, crew members and passengers spent a total waiting time of 122 million minutes, or 232 years, for their aircraft. At China’s airports, the total amount of delay time is around 96.3 million minutes or approximately 183 years. In a report by FlightStats, an air travel information service firm based in the U.S., Chinese have been listed as the least punctual on a global scale. On average, China’s airports have an on-time rate of 65.44 percent in 2014, as stated in the VeryZhun report. The rate peaked at 72.71 percent in March, but decreased to 60 percent in July and August, the stormy weather months in the country. While Beijing Capital International Airport grabbed the lead, Shanghai Pudong International Airport recorded the worst on-time rate, which is less than 30 percent. Its average delay is 113 minutes. The report further showed that a smaller number of airlines do not necessarily equal to a higher punctuality rate. As a proof, Tianjin and Shijiazhuang airports’ average delay is around 20 minutes longer than Beijing’s, even though the Beijing airport has a larger number of planes taking off. Another implication shown in the report is that wide-body aircraft have performed slightly better in terms of punctuality than the narrow ones. Among such craft, Boeing’s B747-8 was recorded as the most punctual with an on-time rate of 93.21 percent. Coming behind Boeing’s is Airbus’s A380 with an 87.61-percent on-time rate. For the narrow-body planes, A321-200 and B737-400 had better performances than the other types. According to air travel analysts, the punctuality of airlines with bigger passenger capacities comes with their familiarity with popular routes and their allotted time slots for taking off. For other state-owned air travel firms, Grand China Air, Kunming Airlines and Air China fared well in terms of punctuality. As per the report, the least punctual is the Xiamen Air. Meanwhile, Joy Air recorded the highest punctuality rate of nearly 90 percent among budget airline companies. Based on the experts’ analysis, punctuality depends on the number of aircraft owned as well as the performance of their base airports.